CAMRA have now published the detailed proposals arising from their Revitalisation Project, which not surprisingly have prompted a lot of debate and discussion. It’s worth reflecting on how we have arrived at this situation. For much of its lifetime, CAMRA was the only game in town when it came to “beer enthusiasm” in the UK. However, more recently, this has been challenged by a new wave of brewers, often influenced by the American craft beer movement. 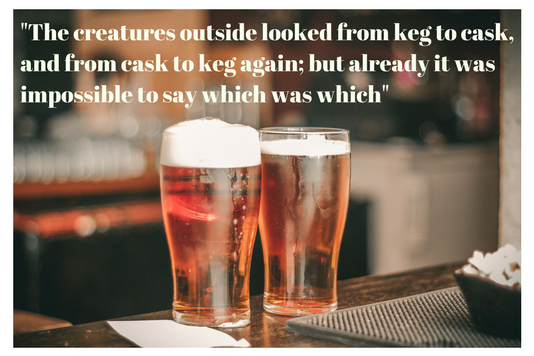 They have introduced a much greater amount of innovation in beer, and often done it by presenting their products in the keg format not approved by CAMRA. This has met with widespread success, especially amongst younger drinkers. And, very often, the narrative, most notably that of BrewDog, has been one of kicking against the established real ale culture. There has been a growing amount of interesting, high-quality beer being brewed entirely outside the orbit of CAMRA, and in the process making the organisation look old-fashioned and stick-in-the-mud. So surely it should be looking at widening its scope to encompass all good beer and beer enthusiasts, rather than sticking within a narrow, pedantically-defined box. And thus was born the impetus for the Revitalisation project. Now, I am certainly no cask zealot who doesn’t think any other kind of beer is worth drinking. I’m entirely relaxed about drinking non-real beers, and do from time to time, although in general I tend to visit pubs where cask is well-kept so there’s no need to. CAMRA has often been ill-served by the narrow dogmatism that bleats on about “chemical fizz” and “sealed dustbins”. It has always been much too reluctant to recognise merit in beers that fall outside its remit. But that isn’t the same as “promoting” or “embracing” them. On the other hand, I fail to summon up much enthusiasm for the new wave of “craft keg” beers, and to be honest my interest is more likely to be piqued by spotting obscure old brands of keg mild on the bar of trad pubs. CAMRA is a people-powered cultural heritage organisation in all but name. Traditional drinking culture is what links real ale, real cider/perry, historic pub interiors and community pubs. Embrace it! By all means show craft more respect (the same respect shown to Belgian beers and quality German and Czech lagers, for instance), but don’t water down the central purpose of CAMRA. That doesn’t mean you need to be against other forms of beer, just as the steam enthusiast doesn’t refuse to travel on electric trains, or the champion of Victorian architecture doesn’t do his best to avoid modern buildings. But they’re not something you want to pursue as a leisure interest. As I’ve said in the past, you can’t expect everyone to be interested in everything. I’m not saying there’s anything wrong with wanting to be a modern, all-encompassing beer enthusiast, just that that’s not what CAMRA’s fundamentally about. And trying to fit both into the same big tent is likely to be fraught with problems and pull in different directions. It’s not really as if modern keg beer needs campaigning for anyway – it seems to be doing perfectly well for itself as a purely commercial product. What exactly would CAMRA bring to the party that is any different? And, while it’s sometimes said that real ale has been “saved”, that’s a very complacent and blinkered viewpoint. The absolute amount of real ale sold now is far less than it was when CAMRA was formed. The only places where real ale can exist - pubs and clubs - continue to close at an alarming rate. And there are plenty of “real ale deserts”, often in places where, thirty or forty years ago, many of the pubs sold real ale. So there’s still plenty of work to be done without diluting the message. Arguably the biggest threat to real ale’s future is complacency. We haven’t had sight of the precise wording of the motions yet. But my feeling is that I will be strongly inclined to vote against the main thrust of the revitalisation project. If you care about the protection of our beer, brewing and pub heritage, I would urge you to do likewise. CAMRA, in my view, should draw in its horns a bit and stick to the knitting of its core principles. I’m a Life Member, and to resign would just be an exercise in cutting off my nose to spite my face. But, if the resolutions are passed, I will need to question whether it is still an organisation that deserves a substantial chunk of my leisure time. The whole process has already proved divisive, with a lot of fur and insults flying on CAMRA’s Discourse forum. Nobody knows what the outcome is going to be, and I can’t see the likes of YouGov carrying out opinion polls of CAMRA members to give us any idea. But there must be a risk that what was put forward, with good intentions, with the aim of saving CAMRA, could end up killing it, or at least permanently diminishing its influence and credibility. 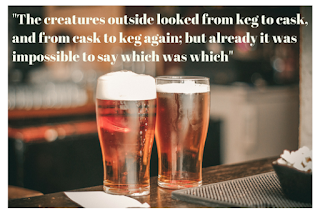 For example, Ian Thurman on his thewickingman blog has questioned whether it might expose CAMRA to hostile media scrutiny if it seems equivocal about its purpose. It is a high-risk strategy on the part of CAMRA’s leadership. It’s not difficult to imagine the scenario where the Special Resolutions are passed by the necessary majority of the membership as a whole, but defeated in the hall by the physical attendees at the AGM, which would create a lot of bad blood. And, given that normal policy motions are simply approved by a straight majority of AGM attendees, it’s possible that “traditionalists” may seek to chip away at the revitalisation changes through future AGM motions. It could lead to more explicit “culture wars” in beer. If the resolutions fail to win the necessary majority, or are even defeated outright, then there will a lot of egg on faces and serious soul-searching to be done. Will it be a case of “one more heave”, or trying to sneak changes in through the back door, or will there need to a fundamental shift to a more back-to-basics approach? "to resign would just be an exercise in cutting off my nose to spite my face". I was a life member of CAMRA too, but I resigned when they embraced the Smoking Ban. I've been accused of the same thing, which is like adding insult to injury. I would say it's more like, my nose has been cut off for me, the least I can do is protest. I still love good beer and pubs (when you can still find either) but as far as I'm concerned, CAMRA can go f*** itself. The point is that if an annual member doesn't renew, they deprive the organisation of income, which a life member resigning doesn't. However, you are still making it clear you don't wish to be associated with the organisation. A friend of mine once said that he wouldn't become a Life Member as it does effectively take away the option of resigning on principle. It would be interesting to know how many Life Members have actually resigned, although I doubt whether CAMRA would tell you. It ought to be pointed out that CAMRA didn't explicitly support the smoking ban, but didn't do anything to fight it either. In a way, we might need to look at the meaning of words here. Campaign suggests something very positive and from that it could be implied that anything which falls under the remit of a campaign must be actively promoted. One of the old CAMRA sayings goes along the lines of "we are pro Real Ale but not anti anything". If as a result of the Revitalisation Project anything which is not Real Ale gets "approved" it then follows that whatever that is must be campaigned for. Hence, the name CAMRA would become meaningless. The way forward may well be to drop the word Campaign from the organization and, therefore, refocus the objectives. Alternatively, if the organization wants to campaign for anything then, if it does go ahead to embrace (approve) non Real Ale then the focus could well be on pub preservation - viable ones that is - and quality of beer at the point of dispense. Having said this, it may well be that all of the above has been considered elsewhere but I go back to the main point that the meaning of words matters in defining to the outside world what the organization is all about. Smoking ban? I'm all for it chucks. Of the ninety thousand UK prison population, about thirteen percent were not born in the UK. That mirrors the make-up of people outside generally. However, eighty percent of inmates smoke, as compared with only seventeen percent of those who are free. So we can only conclude that we should watch smokers far more carefully than we do foreigners, and that employers would therefore be far better choosing trustworthy staff on that basis too? Think on't. > But my feeling is that I will be strongly inclined to vote against the main thrust of the revitalisation project. CAMRA should remain the Campaign for Real Ale. CAMRA should promote the virtues of well-produced, well-kept, cask-conditioned beer as the pinnacle of the brewer’s art." I'm genuinely struggling to understand why everyone's talking like the Revitalisation Project is about to suggest that it becomes the Campaign for Hipster Keg or something... what bits are people actually getting this from? "Does this mean CAMRA will be supporting keg beers, or lager? CAMRA will be widening its remit to represent the interests of all beer drinkers and pubgoers, which may include those who choose to drink lager or key products – and we’ll welcome them as members. There is a difference between recognising the value of all beer types and campaigning for them. We’ll inform and educate people about all types and styles of beers, but real ale, cider and perry remain core to our campaigning." To my mind, "recognising the value of all beer types" means accepting that keg beer is good. As someone who remembers being told in the 1970s that keg beer was good, this means that the campaign's objectives have not been achieved and the last thing we need to do is to dilute the message. Every time someone in Camra says that they accept that [insert name of keg beer here] is a quality product, the campaigning message gets diluted. Okay, if you think that they shouldn't accept that keg beer can ever be good then I can see how you might find the proposals a bit radical. But even in the quote that you've used they're explicitly pointing out that this doesn't mean that they'll be "campaigning for" all beer types, which is what a lot of people responding seem to think that they'll be doing. But if it really is such a trivial matter, why is it being presented as an epoch-making change? If you campaign *for* something while at the same time accepting that the alternative product is (or "can be") good, your campaign is immediately undermined. Not only does it encourage the opposition (the keg brewers) but it also discourages your supporters. PR? They'd feel a bit daft having made a massive song and dance about running a major 18 month revitalisation project if it came back with a few pragmatic tweaks? I mean, I guess that them officially accepting the existence of "quality non-real beer" would be kind of a big thing from some perspectives, even though they seem to have tacitly accepted it at least regarding foreign beer for ages. But anyway, the people banging on about not wanting them to become the Campaign For All Quality Beer should probably be reassured that the report repeatedly and explicitly says that that's not what it's recommending. I'm sure I am not alone in joining CAMRA in the 1970s as a "vote in favour of Real Ale" as opposed to cold and gassy keg beer. So far as I understand, keg beer will always be served cold and gassy. well the members werent exactly making a massive song and dance about it needing it to happen before they got told it was happening,, so some of us might think this has been a spectacularly daft thing to kick off to begin with. the NE recommedation says CAMRA will position itself as a champion for all beer and all pubgoers, how can it do that if it only campaigns for real ale ? so its already in a contradiction with itself, whilst simultaneously chucking in mention of 'quality beer' whatever that may mean, the revitalisation document even specifically says "...some of the lower-quality, mass-produced cask beer common in pubs..." as a thing CAMRA should tighten up its real ale definition around to preclude in favour of beer thats technically still real ale, until CO2 is applied in the cellar, and it becomes keg beer, so whilst its not a bullet point the intention seems to me to be fairly clearly the direction the revitalisionists want to take CAMRA towards which isnt a campaign for real ale. and how GBBF is going to work with a mix of 'quality' beer, whilst displaying this 'educational material' that actually real ale is where its at, can you genuinely see a craft keg brewer accepting that kind of setup for their beer ? and if its allowed at beer festivals, does that mean anything at the beer festival becomes eligible for Champion beer too ? Good point about a life member not being able to hit CAMRA where it hurts by resigning - just never thought of it when I joined. Re smoking ban (regardless of how many commenters predictably take this opportunity to bash smokers again) CAMRA was clearly conflicted about it before it happened, but I remember it becoming more and more obvious that 'antis' were getting the upper hand. When the ban passed, the What's Brewing headline said RELIEF OVER SMOKING BAN. Not only did they not try to stop it, they have done nothing to try to amend it ever since. This is not (as I get tired of pointing out) a question of whether you like smoking or not. I would have hoped CAMRA would see it as a question of publicans being able to make their own decisions for their customers, instead of being dictated to by government at every turn. It should be up to them whether to be a smoking pub, a nonsmoking pub, separate rooms, better covered and heated patios (not allowed) etc. I for one would like to see CAMRA - or someone! - campaigning for publicans to have more control over everything, from smoking to opening hours to darts matches and who knows what else . . . It's not a renewed purpose as there really isn't a purpose. It's been job done for 20 odd years. You are correct, craft keg is doing well enough without a campaign. It doesn't need bandwagon jumpers. What it is, is a moment when CAMRA decided the organisation itself should morph into something else rather than pack up. Which are the 2 options. It morphs into a general middle class good beer club or it dies on its arse. Your rejection of the proposals is simply the choice of slow death over a more dignified official winding up. You now notice as a guy kicking 60 you are the youngest kid on the pub crawl. In ten years you'll be the only kid on the pub crawl. If you accept the proposal you stand a chance that CAMRA can become a meaningless though continueing club. If as Ethelred says, smokers are down to 17%, it is a recent development spurred by the popularity of vaping . . . which many places ban too, even though it's not illegal (that's how ban-happy we've become). Anyway, even if only 3% of the population smoked, pubs should still be free to cater to them if they wish . . . just as there are some gay bars to cater to the approximately 3% who are reckoned to be gay, for instance. Every bar stocks some things that hardly anyone ever drinks, but should they therefore be banned? But, to move on from my pet peeve . . . I accept in principle that you shouldn't be called the Campaign for Real Ale unless you actually campaign for real ale, and not other types of beer. (Though the broadening of CAMRA's remit to include Cider and Perry is already a contradiction, isn't it?) However, I could live with a more broad-based 'campaign for good beer and pubs', within which there would be a CAMRA Department, so to speak . . . possible some kind of alliance between existing CAMRA people, publicans, real ale brewers, craft brewers etc? Especially if it helped give licensees more control and generally revitalised the pub culture. The trouble is, everyone seems stuck in their own niches, without a broader vision. Thanks for the reply. Sadly, when I'm being serious people often think that I'm joking, and vice-versa. (I've had all my comments on a website "for pub lovers of all persuasions [sic]" precipitously deleted, perhaps because of that, incidentally.) I would have thought that I was included in that group, but maybe not? Perhaps someone has a new definition for "all", eh? Maybe you should take a long hard look at yourself and wonder why you provoke this reaction in others. Yes, I'm sure that there are loads of folks about, looking to share A Matter About Which We Can All Be Very Very Serious. It's mildly comical to my eyes, when that turns out to be drinking beer in pubs though. But if the will among the membership of CAMRA is to be a quasi-religious sect, operating under an atmosphere of piety à la Plymouth Brethren, then that is for them, and it's hard to see what harm they could ever do. 15.8% smoked and 5.6% vaped in 2016, compared to 20.1% smoking in 2010 (vaping stats only go back to 2014 and are a small sample, one big change is that vaping has taken off among U-24's in a big way) and around 30% smoking 20-25 years ago. AIUI the point about the smoking ban was that pubgoing and smoking were highly correlated, so something like 54% of pubgoers smoked when the ban came in, which went down to 37% fairly soon after IIRC. But smokers are still over-represented amongst pubgoers, even though they're treated like pariahs. My pub-going, as a non-smoker, has greatly increased since the ban, and I doubt if I am alone. Many of us, the majority, did not go, precisely because they were unhealthy smoking dens. But, overall, the number of customers deterred by the ban hugely exceeded the number attracted, hence the tidal wave of pub closures. Indeed, pretty much all of the handful of people who have gone to pubs more seem to have crowed about it in my blog comments. And, if you were *that* bothered about it, pre-ban there were plenty of pubs witn non-smoking areas for you to go to, a fact strenuously denied by antismokers. Anyway, this constitues off-topic axe-grinding, so any more comments on this subject may be deleted. Now that real ale is here, perhaps CAMRA members might generally be happier with its being renamed as The Real Ale Preservation Society? It would then sit happily alongside such august bodies as the CPRE and so on. Sounds like a sensible suggestion to me, anonymous. I'm quite happy with it being the Campaign for Real Ale - that is what I joined, and where my interests lie. Yes, CAMRA was about championing cask beer, a unique aspect of British heritage, and it had great success in its first ten years even if, with the 1989 Beer Orders and Progressive Beer Duty, it has done more harm than good since then. The impetus for the Revitalisation project was nothing other than perpetuating the life of CAMRA but it’s a futile exercise because today’s “craft keg” drinking hipsters will have nothing to do with a relic from their father’s and grandfather’s time with ‘Real Ale’ in its title, won’t be interested to hear that their “keg beer with hops in it” is “high-quality” and won’t join and even if they did they would only be interested in their beer not ours. Worst is that if CAMRA accepts the Revitalisation proposals the message to all brewers, large and small, will be “high-quality” keg is acceptable and so there’s not really any need to carry on brewing the cask conditioned real ales that active CAMRA members have worked hard to promote these past 45 years. It’s comments like the one above that really annoy me,I’m 65 and love cask beer that’s well kept,I also really enjoy a 7%+ key keg that has flavours and aromas you couldn’t maintain in a cask for more than a few hours. I’ve never in 2 years had a fizzy beer unless on holiday abroad. There’s room for everyone here to like whatever beer floats their boat so let’s look to the future accept we need to move on and concentrate on pubs who really need our help. I don't understand why you need "a 7%+ key keg that has flavours and aromas you couldn’t maintain in a cask for more than a few hours". I've had cask beers stronger than that which, if properly vented and pegged, can keep their flavours and aromas for nearer weeks than days or even hours, and there are pubs that will keep a cask of Robinsons Old Tom or Titanic wreckage in the cellar from one winter till the next. Even in the summer of 1976, and without the benefit of proper cooling, I kept a cask of Marstons Owd Roger that was fine as it was finished after several days. I wouldn't say that "keg beer will always be served cold and gassy" but "high-quality" "craft keg" does tend to be cold and expensive if not always gassy. "There’s room for everyone here to like whatever beer floats their boat"
Of course, but that doesn't mean CAMRA has to support it, or campaign for it. Sadly, that's an all-too-common misconception amongst Revitalisation enthusiasts. But, as founder member Michael Hardman famously said “I must point out that we’re not fighting against anything, we’re fighting for something.” Dogs Trust doesn't campaign for cats, but that doesn't mean they think cats are bad animals. "To fight" is a transitive verb. It requires an object, express or implied. You have to be fighting something, whether that overall enterprise is for or against something else. So what is the enemy then, against whom you heroes apparently imagine that you wage war? "To fight for" is what is known as a phrasal verb. In this case, the object is "real ale". Let me know if you need any more help with English grammar. With respect, I didn't refer to key kegs which, to be fair, I know little or nothing about. My point was and is about keg beers. Without getting too technical, it is my understanding that a beer which is cold - let's say 6-8 centigrade - will hold more carbon dioxide than a beer within the Cask Marque range of 10-14 centigrade. Given that, such beer will be relatively fizzy at point of dispense. Given that then we get a description of cold and fizzy for keg in comparison with cask. Nevertheless, I would not criticise the preferences of any individual. Each to their own. - There is a disproportionately high number of life members currently involved with the organisation and running of the Great British Beer Festival - currently a high number of those are considering simply walking away should the new broom sweep as clean as is being threatened. Should that come to pass I believe that the majority would formally resign as *active members* but NOT as members full stop. - If I want a three course meal I don't march into a McDonalds and demand that they change the menu - I go to a restaurant that offers the menu I want. Accordingly there are already organisations in existence that support all beer regardless of type - and so far I am at a loss to understand why those who feel that way about non-real Keg beers don't simply either join one of those organisations alongside being a CAMRA member or "jump ship" and leave in favour of another organisation? It's a bit like marrying someone you don't much like but thinking "Oh it's OK, I'll change them into someone I do like..."! - I choose not to drink keg beer as I don't get on well with any quantity of CO2 - it makes me feel very sick after more than about half a pint, generally speaking. However I absolutely accept that others do choose to drink it, and I have no problem with that at all. It bothe3rs me no more than someone choosing to drink Stella, or Strongbow, or Guinness. None of them are my drink of choice, but they are the choice of others. Camra however shouldn't campaign FOR any of those either - it's not our bag. 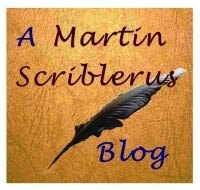 Great blog - very well written and with points well made. Thank you! Yes, there are indeed many considering simply walking away should the new broom sweep as clean as is being threatened. Yet very few “craft keg” enthusiasts will join, let alone become active, if CAMRA tells them that the beer they choose is “high-quality”. If the proposals are accepted, and none of us know if they will be, it could be the end of CAMRA or of CAMRA as we’ve always known it. Yes, as I've said before, it's wishful thinking that revitalisation is going to attract a flood of new active members to replace the ranks being thinned by age and infirmity. Especially when the craft enthusiasts realise that keg beers still aren't being listed on WhatPub or counting towards GBG selection. Yet. I have been assured that as things stand there is NO intention that CAMRA will campaign for, or support, "Dead" Keg beers - simply that we will acknowledge their existence. I'm not entirely sure why the changes that are proposed are needed to achieve this! I have suggested that a statement is released to reassure people of this, but I have my doubts that this will happen. The question has to be asked why, if the changes really are so trivial, they are being bigged up so much. And surely permitting the sale of non-real British beers at festivals is to some extend lending support to them.